Intellectual property, often known as IP, allows people to own their creativity and innovation in the same way that they can own physical property. The owner of IP can control and be rewarded for its use, and this encourages further innovation and creativity. The ever increasing level of piracy and counterfeiting costs U.S. businesses substantial revenue annually. As such, a business has to be as vigilant in protecting its intangible assets as it would be in protecting its tangible property. Intellectual property law is a means to combat the widespread theft of a company's most important assets. Often it is not possible to protect IP and gain IP rights (or IPRs) unless they have been applied for and granted, but some IP protection, such as copyright, arises automatically, without any registration, as soon as there is a record in some form of what has been created. Patent - a grant made by a government that confers upon the creator of an invention the sole right to make, use, and sell that invention for a set period of time. Trademark - a mark that is used by a manufacturer or merchant to identify the origin or ownership of goods and to distinguish them from others. Specifically, this course covers the basic requirements for protecting each type of intangible, highlights the sources of authority that govern intellectual property law, explains what types of rights are available, introduces what constitutes infringement, discusses the defenses available for infringement and lists the types of remedies used to compensate an owner for infringement. Given the production and export from foreign countries of products that violate U.S. patents, trademarks and copyrights, there will also be a comparison of protection methods available abroad. Explain the differences in between copyrights, patents and trademarks. Explain the basic requirements for protection and apply those standards to the determination as to whether a particular bit of intellectual property is eligible for protection. Explain the categories of works that are protected. 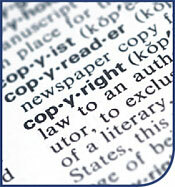 Determine the types of rights given to a copyright, patent or trademark holder. Research statutory and case law in the intellectual property field. Distinguish between the types of authority relevant to intellectual property law. Determine the duration of intellectual property interests, based on applicable statutory law. Recognize the various types of infringement. Determine whether defenses to infringement are available based on a particular fact pattern. Recognize the available remedies that may be available regarding a particular case of infringement.